April 27th in Premium Themes by Wordpress Jedi . So you want to create a personal blog covering the latest events and developments in your life? Personal blogs are a great way to keep track of the details of each day in your life and eventually create a complete auto-biography for yourself or your family memebers. 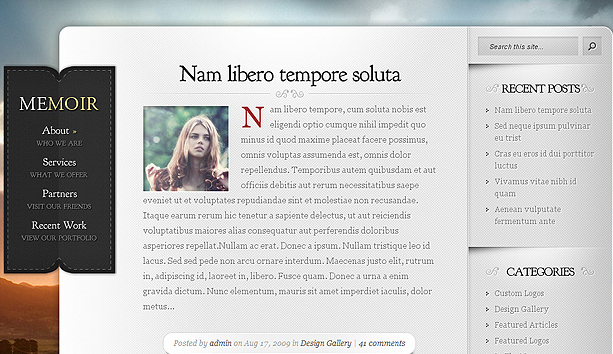 Memoir Theme is a clean and simple theme that lets you get started with your own Memoir Site without having to go broke.